Even though school is out for the summer for many of our students in southern Nevada, our teachers are in the midst of planning their activities and lessons for the 2004-05 school year. That includes helping students in Clark County schools better understand a content area that is as current as today’s fast-breaking news, but steeped in history, civics, geography, and economics. This curricula is Social Studies, the “heart” of all learning that prepares our young people to become productive citizens. 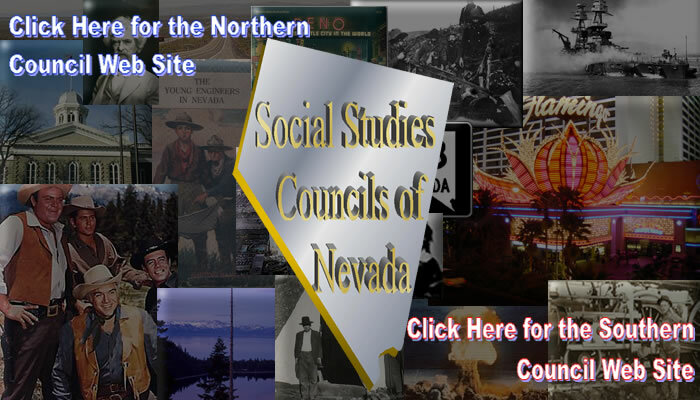 Recently, the Social Studies Council of Nevada voted to partner with the California Council for the Social Studies and the newly-formed Northern Council for the Social Studies. These partnerships, coupled with the fact that the 2004-05 President of the National Council for the Social Studies, Dr. Jesus Garcia, has joined the UNLV faculty this summer, will increase our membership and augment our opportunities to make a difference with teachers. Do we hope for a nation and world that is more hospitable to life, liberty, and justice for all? The task in social studies classrooms is to support learning that really does increase a student’s competence and confidence in his/her use of important social studies knowledge and skills for a better life and for richer contributions as a citizen. Your support will help to make this possible. Should you have additional questions, please contact me at White Middle School, (702) 799-0777, or home, (702) 719-2752, or via email, ______________________________. I look forward to working with you this year.